To view or update your HOUSEHOLD ADDRESS and CONTACT INFORMATION or update your CELLPHONE TEXT PREFERENCES, take a moment to review these instructions before logging into PowerSchool through the link on the bottom of this page. Step 1: Go to Forms by clicking the ‘Forms’ item in the left navigation menu. 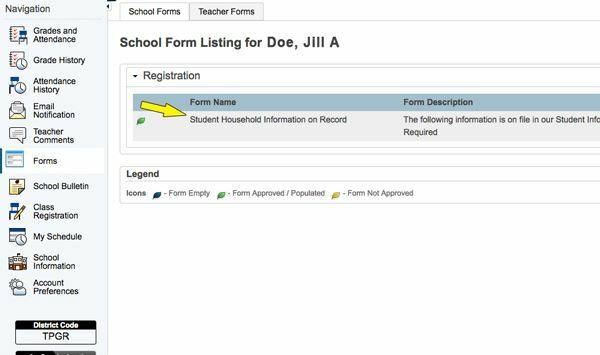 Step 2: Select Student Household Information on Record form. Step 3: Enter changes to any information. When your change has been submitted, the screen will turn and remain yellow until the change has been approved. 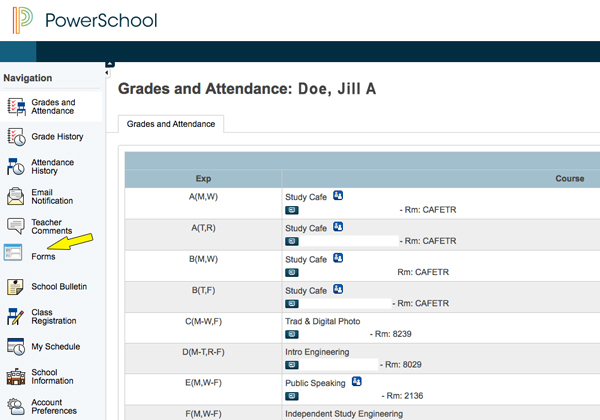 School Messenger, NFA’s automated notification system, syncs information with PowerSchool. If your Primary Household phone number is a cell phone that is SMS capable (text message), you automatically receive a request to enroll. If you accept, you will receive text messages when automated phone calls are made by the system. Your preferences will be saved from year to year as long as your Primary Household phone number remains the same. 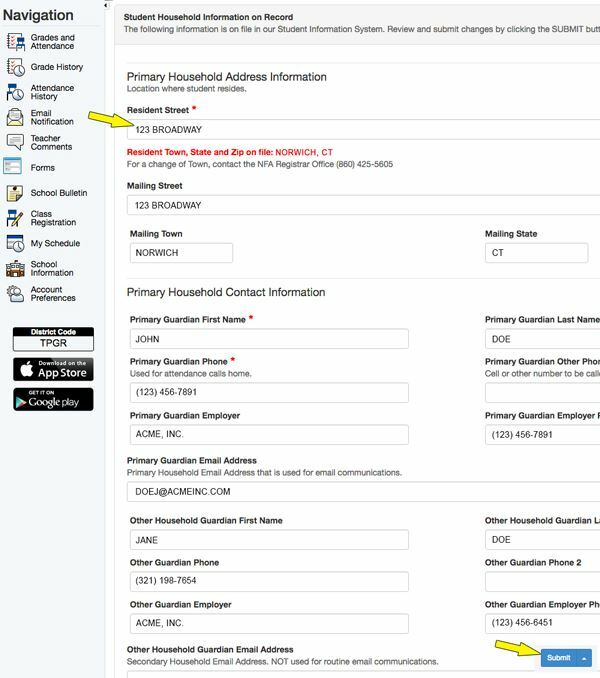 If you have a phone number change or if there is a brand new cell phone number, update your information in PowerSchool by following the directions in the first drop down box (Update Household Info) on the Update Contact Page. Click on PowerSchool logo to log in.